Basically, there are two important considerations that should be well thought out before buying a television set, namely: budget spending and the size of the room. For the most satisfying viewing experience, the visibility is very decisive. The distance from the seats with television screens must be adjusted in such a way so that your eyes do not quickly feel tired. With the option of HDTV and Ultra HD TV or 4 k TV, television users usually want to see from a distance much closer because the pixel resolution which is quite astounding. However, if the distance is too near to course also not ideal. If you sit around 3 meters or approximately 120 inches, then you can just divide by 3 so that the right television size is about 40 inches. Read too: How to make old gadgets such as new. A function room also quite determines the selection of the proper size television. If you want to buy a television for the family room which is pretty crowded and often used for various purposes, then perhaps television is too big it will interfere with the activity of the room. Conversely, if the television will be placed in the bedroom to relax, then Your okay to put up a television-sized larger than the average. Levels of contrast and the accuracy of television could have been reduced if viewed from the side. While the viewing angle perpendicular to the television will maximize the contrast level and accuracy of television. Therefore, make sure that if a point or a particular position of the room can be quite adequate so that every point of view will not be too wide. 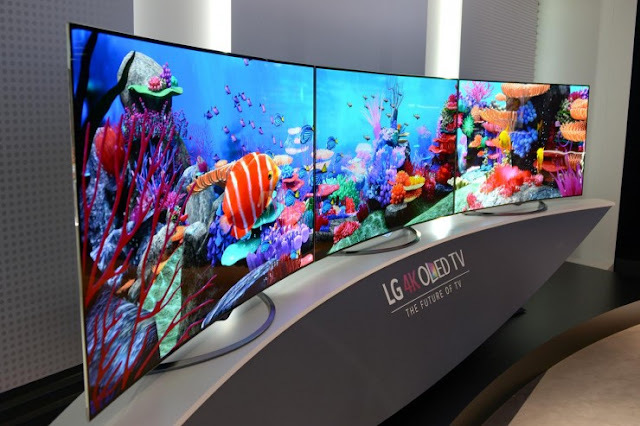 Many brands that claim will give you the sensation of watching an increasingly curved screen with maximum can "wrap around" the image perfectly. These effects usually will only work to its full potential if the sitting position is also perpendicular to the television screen. To choose the size which best suits your space makes sure you know the size of the room.